This recipe appeared in the 1932 book Shake ‘Em Up! by Virginia Elliott & Phil D. Stong. This book is particularly fun to read through, as it offers up not just cocktail recipes, but also the right hors d’oeuvres to serve with each one. In more ways than one, it’s a host’s survival guide from the jazz era. 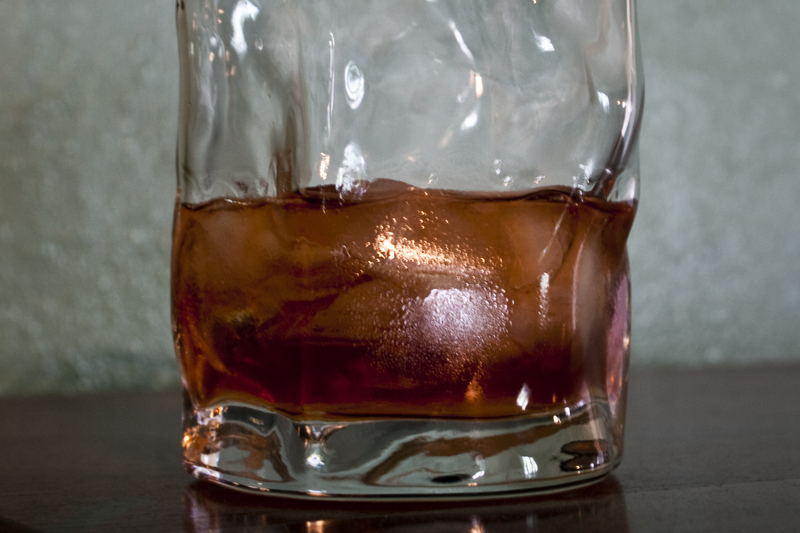 Combine the ingredients in a rocks glass filled with crushed ice and stir well. Serve with a lemon twist on top. The Benedictine (which was often used as a replacement for absinthe) has a strong herbal/anise flavor that compliments the sweetness of the bourbon very well. The lemon juice adds just a bit of citrus bite, and grenadine is more for color than anything else as it doesn’t have a powerful impact on the flavor. The bourbon and Benedictine definitely are the stars of this drink.